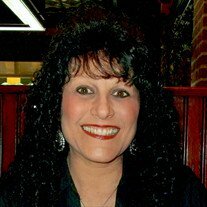 Lori L. (Brush) Gleich, age 60, of Alliance, went home to be with the Lord on Friday, February 1, 2019 while surrounded by her loving family. She was born in Canton, OH on December 30th, 1958 to William "Bill" and Nanette (Zarrelli) Brush. Lori was a 1976 graduate of Alliance High School. She attended the Malone University, Hondros College. She obtained her Real Estate license in 1996 and worked for Hume for Homes from 1996 -2000. She also worked for Cutler Realty from 2000-2016 and Allstate Insurance from 2009-2016 before retiring in 2016. She was the recipient of the Ohio Realtor President Sales Club multiple years throughout her career. She was a member of St. Joseph Catholic Church of Alliance, Elks Lodge 467, Alliance Eagles Club, Alliance Country Club and the Women's Club. Lori was deeply faithful, had a big heart and loved her family and friends. A classy lady, she was always so positive and grateful. Survivors include her husband, Mike Gleich whom she married on June 27th, 1981; mother, Nanette Brush; daughters, Nanette (Tyler) Schmidt and Darilynn (Louie) Rainieri; brothers, Larry (Tracie) Brush and Louie (Tina) Brush; grandson, Jovanni Rainieri; god daughter, Hidee Brush; nephew, Larry (Perry) Brush Jr.; niece, Stacie Adkins; father-in-law, Roger (Deborah) Gleich of Ft. Myers, FL. and several great nieces and nephews. She was preceded in death by her father William "Bill" Brush who passed away on July 18, 2015. The family will receive friends on Wednesday, February 6th from 9 a.m. to Noon at St. Joseph Catholic Church in Alliance. Her Mass of Christian Burial will be held at Noon on Wednesday, February 6th with Fr. Matthew Mankowski as celebrant. Interment will follow at St. Joseph Catholic Cemetery in Alliance. In lieu of flowers, memorial contributions can be made to St. Joseph Catholic Church, 427 E. Broadway St. Alliance, OH 44601 or St. Jude's Children's Research Hospital, 332 N. Lauderdale St. Memphis, TN 38105. Arrangements are entrusted to Cassaday-Turkle-Christian Funeral Home, 75 S. Union Ave., Alliance, OH 44601.